Yes that’s right. You’ve read it correctly. 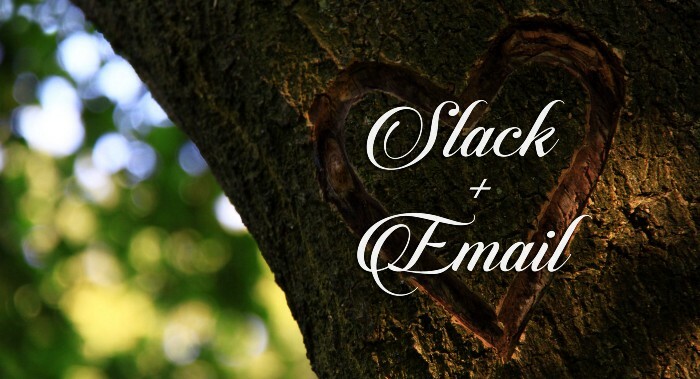 Not only are Slack and email getting married, but this marriage which may seem to be against nature will even be a happy one. Here is the story which will change your day-to-day work life, by the instigator of this union, MailClark. Things however got off to a very bad start between them. Slack, this fine-looking young lad who was so popular, seemed to be the opposite of email, this old lady of the Internet. Worst of all, many saw in Slack the long-awaited killer of email, tool of the past blamed for evils such as information overload or “workplace insanity”.